These are the home remedies I've used to successfully treat toenail fungus. I hope you will find these remedies helpful, too. Ingrown toenails are the painful result of the nail digging into the skin around the nail bed. If you play sports, wear tight shoes, or simply do a lot of walking, then you're probably familiar with them. Like toenail fungus, ingrown toenails are often a chronic condition, and there's no surefire way to prevent them from occurring. Fortunately, most are treatable at home. With a little patience, as well as products taken right from your cupboards, you can easily find relief without ever visiting the doctor. My goal in writing this article is to provide options for people looking for alternative treatment. I have personally tried apple cider vinegar and Epsom salt, and I have found that both reduced the pain associated with this condition. I describe my experiences below. The other remedies I discuss were recommended to me by forum posters, family, and friends. I've also included the medically recommended treatment method based on research from WebMD, MayoClinic, and the National Institute of Health. If not treated, an ingrown nail can continue to cause pain for a year or more, so it's best to take action as soon as the condition is detected. Before you do anything else, you need to get the skin away from the ingrown part of the nail. This will expose the injured part of the nail bed, as well as encourage the nail to grow straight. Soak foot in warm water for 15-20 minutes, 3-4 times a day. This will help reduce swelling and relieve tenderness. After each soaking, put a little bit of cotton or dental floss under the ingrown edge to help the nail grow above the skin edge. Put antibiotic ointment on the area that's tender and cover it with a bandage. Make sure your footwear is comfortable while your toenail is healing — consider wearing open-toed shoes or sandals. Take OTC pain relievers like acetaminophen (e.g., Tylenol) or ibuprofen (e.g., Advil and others) to relieve the pain. An ingrown toenail that is left untreated or undetected can cause serious health complications, especially if you are diabetic. Do not attempt to perform surgery on your own foot! This can cause serious injury and could make your infection worse. Wear shoes that fit well and do not squeeze your toes. Keep your toenails trimmed and trim them straight across. 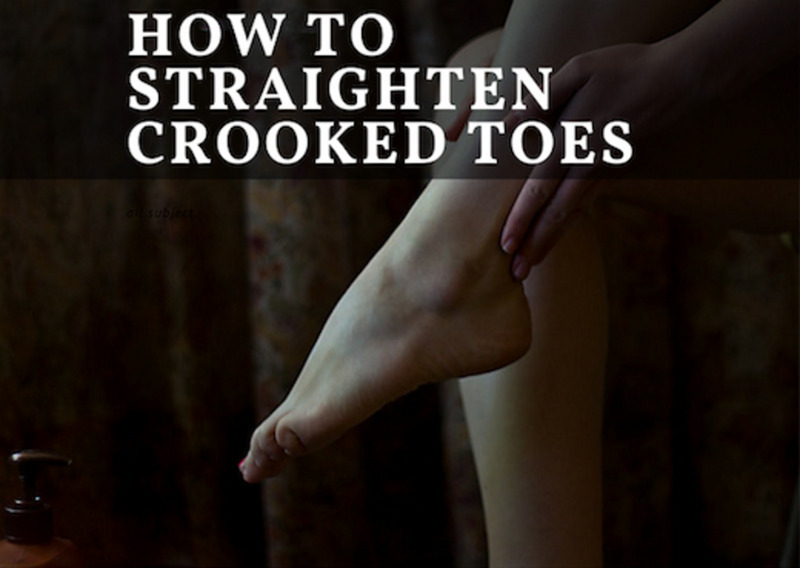 Keep them even with the tip of your toe. If you have diabetes, check your feet daily for problem toenails or other issues. WebMD, "Understanding Ingrown Nails -- the Basics." Warning: Do not attempt to perform surgery on your toe or do anything that will break the skin. This can increase the chance of getting an infected toe. Stick one end of the bandaid next to the ingrown part of the nail and wrap it around the back of the toe. The bandaid should pull the skin away from the damaged part of the nail bed. Make sure the bandaid is tight around your toe, but not so tight that it affects your circulation. Once your toe is clean, use a toothpick to gently push the edge of the nail away from the skin. Then push a small piece of cotton into the gap between the nail and the skin. The cotton will help keep the nail dry and redirect the nail growth. Sometimes, it may be possible to clip the nail short enough so that the ingrown part can be properly exposed. Once the ingrown part of the toe is exposed, you can choose to apply a topical treatment to the affected area. Many of the products below are analgesics, meaning they provide relief from pain. In some cases, they may also cause numbness in the toe or treat infection of the toenail. Hydrogen peroxide may sound scary, but it's actually a very common disinfectant that can be safely purchased at most drugstores (where it is sold diluted to safe concentrations, usually around three percent). It can help disinfect and soften the skin around the nail, making the wound far less painful. To use hydrogen peroxide on an ingrown toenail, add approximately 1/2 cup of the mixture to an evening foot bath and soak for 20 minutes. 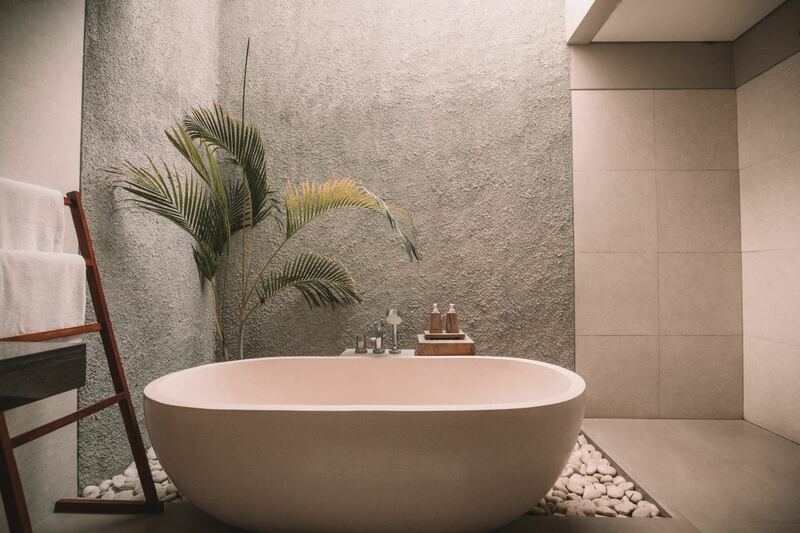 Magnesium sulfate, commonly called Epsom salt, has a variety of different uses, from a drying agent to a soil conditioner to a coagulant in tofu. Since it naturally helps replenish magnesium in the skin, Epsom salt is purported to have numerous health benefits for our bodies, though studies don't necessarily back them up. For decades, it's been added to warm bathwater to help soothe aching muscles and menstrual cramps. Epsom salt is also actively used to help cure stomach ailments, improve nerve health, and even relieve anxiety. An Epsom salt soak will soften the skin around an ingrown toenail, making it easier to pry the toenail away from the skin. Simply add a large handful of the salt to a foot bath and soak your foot for 20 minutes twice a day. This is also an effective remedy if you're suffering from other foot ailments, like toenail fungus or athlete's foot. Recently, a toenail on my right foot became ingrown. I took a slightly different approach from my previous ingrown toenail and made a foot bath with warm water and half a cup of Epsom salt. I also used a small piece of cotton to separate the nail from the skin when I wasn’t soaking. The Epsom salt stung a bit when I submerged my foot; however, I noticed an improvement in the redness, swelling, and texture of the toenail after just one treatment. Once again, I also noticed that the pain had decreased. I continued to use the Epsom salt soak for five days (along with the cotton) and the toenail healed completely. Apple cider vinegar is made from fermented cider and has a strong, almost sweet taste. Many people use unpasteurized vinegar as a disinfectant, an energy drink, a beauty tonic for skin and hair, and even a weight loss supplement. Try pouring a few tablespoons of apple cider vinegar into a foot bath and let feet soak for 20 minutes. You can also put a small amount of the vinegar onto a cotton ball and apply it directly to the wound (careful—this might sting). You might also try ingesting a tablespoon of the vinegar orally each day so that it is absorbed directly into the bloodstream. If you don't like the taste of vinegar on its own, you can always mix it into a glass of water with a teaspoon of honey. Several years ago when a toenail on my left foot was ingrown, I began soaking my foot each night for an hour in a basin full of warm water and half a cup of apple cider vinegar. After only a few days of doing this, I noticed the ingrown toenail felt less sensitive and painful. I also noticed that the skin around the wound was returning to its original color and was softer, allowing me to gently trim the nail. I kept up my nightly regimen for another week and continued to see a vast improvement. Around ten days after beginning treatment, my toenail was almost completely healed. White flower oil is a traditional Chinese healing oil that is commonly used to treat neck pain, sinus pain, bruises and arthritis. Despite its name, it doesn't actually come from a white flower, but is made from a mixture of different herbal oils, including lavender, eucalyptus, and peppermint oil. When used topically, white flower oil can effectively treat sunburn or insect bites. I have not used this method personally, but people have suggested that a few drops of the oil on an ingrown toenail will help clear up infection. 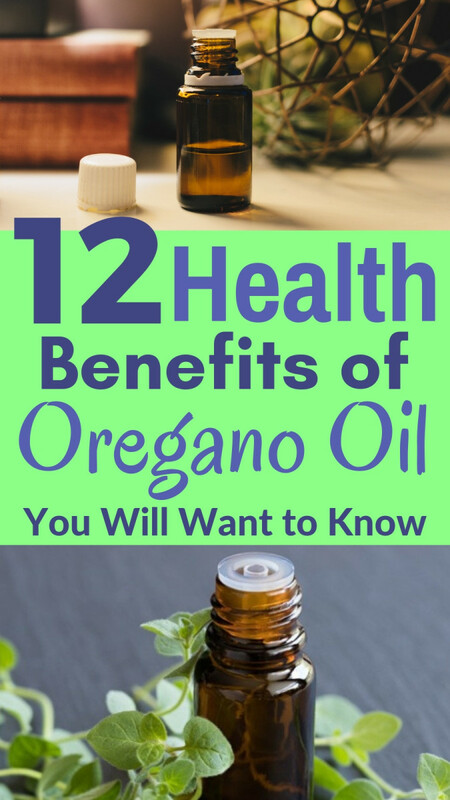 It's important to keep in mind, however, that this very potent oil is poisonous when ingested, so it must be kept away from the eyes, mouth, and nose. According to experts, it's best to use white flower oil near the wound site, but not directly on open wounds. Tiger balm is a very fragrant healing salve that was developed almost 150 years ago by a Chinese herbalist. Today, it's still widely marketed in health food stores and has become popular among both the conventional-medicine and alternative-medicine crowds. Tiger balm's main claim to fame is that it soothes general aches and pains, particularly in the neck and shoulders, as well as arthritis and stiff joints. The balm is made from camphor, menthol, clove bud oil, and cassia oil, although different formulations of Tiger balm contain different ingredients. On the market today, you'll find both red and white tiger balms, as well as extra-strength brands for severe muscle pain or injury. Though I have not used this method of treatment, I have read cases of healing ingrown toenails with tiger balm. Try applying a small amount of the ointment directly to the affected area twice a day. Many people with ingrown toenails say they've had success with this approach in less than two weeks. However, it's also been reported that the balm can cause a mild allergic reaction. If you have particularly sensitive skin, you may want to skip this treatment and experiment with something else on the list. You probably remember this common cold remedy from your childhood. When applied to your chest, Vicks VapoRub can quickly clear up the symptoms of cough, cold, and flu. Nowadays, it's also a popular treatment for minor aches and muscle pains. This menthol-based salve is an excellent remedy for ailments affecting the toes and feet, including fungus and warts. To treat ingrown toenails with Vicks, use a q-tip to gently smear the rub on and around the affected area. If you can, try to get some of the rub underneath the toenail as well. Be sure to not break the skin or cause any bleeding. This is another one that I don't have personal experience with, but I've heard that Vicks might work by softening the toenail and encouraging it to heal while also relieving pain. A few years ago, I asked a pharmacist for advice on a very bad ingrown toenail. She told me to use diaper rash cream, that it was similar to Dr. Scholl's, but stronger. Sounded odd, but made sense once I looked at the ingredients. It worked well, and I use it now every time I get one. I also noticed you’re keeping your pace steady throughout which I remember you mentioning before about you wanting to work on that. Obviously, you are doing great! U Have Saved Me From My Mom Taking A Knife to My Ingrown Infected red toenail! I'm So Happy To Heare That Do not attempt to perform surgery on your own foot! This can cause serious injury and could make your infection worse. i hurt my toe nail and it looks like the picture i try all remedies but is swollen when i walk on it is this normal? til it goes away and for how long i should wait before going to the doctor? I have been able use a product called PRID. It's a natural product, and only takes a small amount of product on the spot. It's a drawing salve. I've had ingrown toenails on both my feet. I've tried everything I could find on the internet. The only thing that worked for me was cold feet baths every night, for 2-3 weeks. The water is as cold as it comes from the tap, and I sat with my feet in it for at least 30 minutes each evening, before going to bed. Cold water reduces the inflammation, and it also softens the nail, so you can clean it for a bit each time. Also keep your toe nails trimmed straight, not rounded. I used to get them bad, because I picked at my toes. I had a small surgery that straightened my inner toenail. Wonderful. 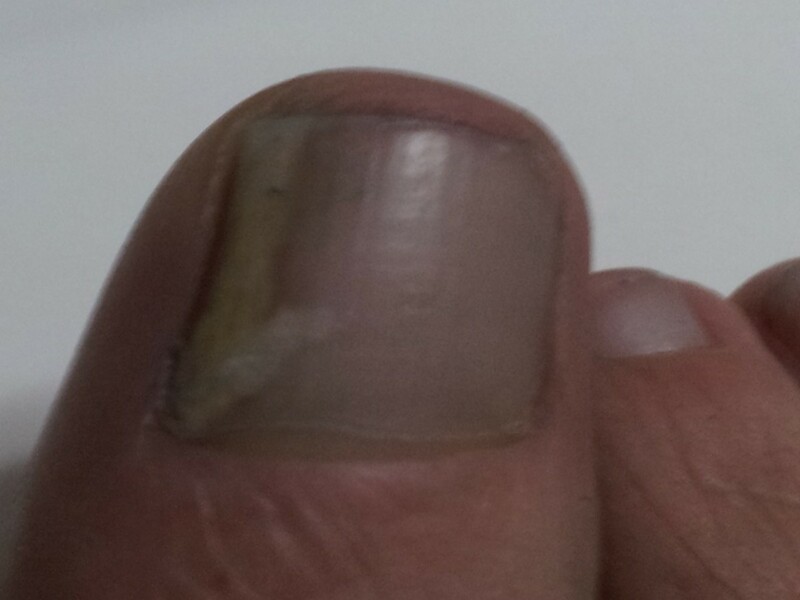 I found recently in summer my outer toenail and skin was getting very sore. I saw a post about putting small piece of cotton under the nail to help it grow out not in.... I will never forget this! EVER! best post ever! I constantly have ingrown toenails! I'm battling one on my big toe right now. In fact, I once had a case of the toenail growing up through the toe, poking out the top of the toe from under the skin. The doctor said it was one of the worst cases he'd seen! Anyway, I've tried hydrogen peroxide and Epsom salts. I'll be sure to add Vicks to the line-up. Very informative! I used to get ingrown toenails and found hydrogen peroxide worked wonders. But glad to know there are other remedies, and not so expensive ones. Thanks for sharing; voting up. Straightforward and informative. Nice job.